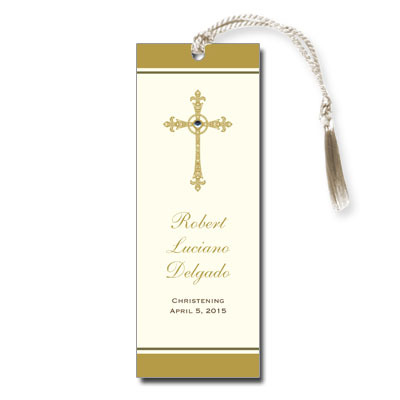 A keepsake bookmark favor is the perfect way to commemorate your child's Christening. This ecru bookmark features a gold filigree cross embellished with sparkling jewel and finished with an ecru satin tassel. Assembly is required.